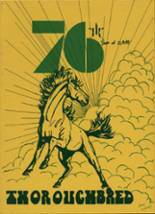 Listings of high school yearbooks for Jackson Olin High can be found below. You will find former students who are seeking yearbooks, those looking to sell a yearbook and general yearbook requests among the Jackson Olin yearbook listings. This yearbook section was created to help alumni post yearbook classifieds. Jackson Olin High School alumni can relive their experiences from high school by sharing memories and pictures, reconnecting with those alumni listed, and more. I would love to get a copy of our yearbook. My yearbook was lost when a family member moved. I want to get a copy of the 1985 yearbook. I would like to see graduate pictures of 1983, its been a long time since I saw them before I buy.